Defines new class at top level with given name and super­class. Defines new module at top level with given name. Defines nested class under class or module under. Defines nested module under class or module under. Includes given module into class or module parent. Equiv. to "­require *name. "­ Returns Qtrue or Qfalse. Invokes method given by id in object recv with given number of args argc and args themse­lves. Invokes method given by id in object recv with given number of args argc and args themselves given in C array args. Same as rb_fu­nca­ll2, but will not call private methods. Invokes method given by id in object recv with given number of args argc and the args themselves given in Ruby Array args. Returns ID for given name. If name does not exist, a symbol table entry will be created for it. Returns a name for the given id. Calls current method in superclass of current object. Defines constant in class or module class­mod, with given name and value. Defines global constant with given name and value. Exports address of given object that was created in C, to the Ruby namespace as name. To Ruby, this will be a global variable, so name should have "­$" prefix. Be sure to honor Ruby's rules for allowed variable names. Defines class variable name (must specify "­@@" prefix) in given class, initia­lized to value. Exports virtual variable to Ruby namespace as global $name. No actual storage exists for variable; attempts to get/set value will call the approp­riate functions. Same as rb_def­ine­_va­riable, but read-only from Ruby. Creates accessor methods for given varia­ble, with given name. If read is nonzero, crate read method; if write is nonzero, create write method. Registers given address with garbage collector. Raises Securi­tyError if current safe level > 0 and str is tainted, or a TypeError if str is not a T_STRING. Raises Securi­tyError if level <= current safe level. Defines method in class classmod with given name, implem­ented by C function func taking argc args. Defines global function (private Kernel method) with given name, implem­ented by C function func and taking argc args. Defines singleton method in class classmod with given name, implem­ented by C function func taking argc args. Scans argument list and assigns to variables similar to scanf: fmt is string containing zero, one, or two digits followed by optional flag chars. First char indicates count of mandatory args; second is count of optional args. A "­*" means to pack remaining args into Ruby array. A "­&" means attached code block will be taken and assigned to given variable (Qnil will be assigned if no code block given). After fmt string, pointers to VALUE are given to which args are assigned. Undefines method name in class or module class­mod. Defines alias for oldname in class or module class­mod. C function will be called with this many arguments.  C function will be given a variable number of arguments passed as a C array. C function will be given a variable number of arguments passed as a Ruby array. A quick reference guide for Ruby on Rails, containing the default directory structure, predefined variables, methods, reserved words and regular expression syntax. Common commands for administering users and groups on a *nix environment. Cheatography is a collection of 3201 cheat sheets and quick references in 25 languages for everything from food to maths!